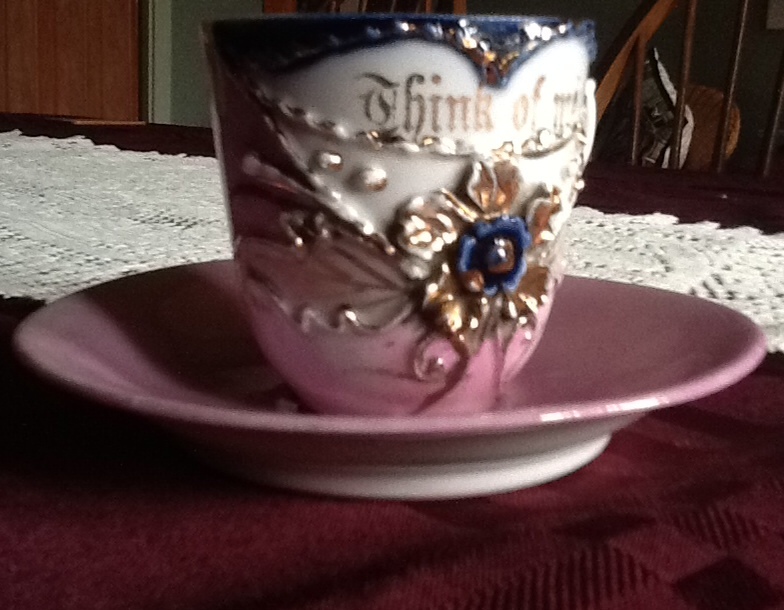 Jean’s memoir is about an ornate cup and saucer passed down in her family. It is always interesting and something of a privilege to read memoir because this medium really draws the reader into the lives of the authors. The topics cover almost the whole spectrum of human experience, from intensely personal, sometimes tragic happenings, to the lighter side of life. In the winning entry, The Silence of the Good Wife, the author is re-visiting, after many years, the place of her childhood. She recalls her mother and the self-sacrificing life she lived for her family. It is a touching story, beautifully written. ‘Think of Me’, the memoir in second place, is written around a particular “keepsake”. Such memorabilia remind us of the people connected with them and often have deeper meanings only revealed to the writer after many years. Recalling how a particular keepsake was passed on to her, this writer wonders which of her daughters will be the recipient sometime in the future. Congratulations Jean, from the Stroud Community Web. Well deserved, Jean. A novel next?